Vísindavaka 2011 was held on Friday, September 23 in Háskólabíó. 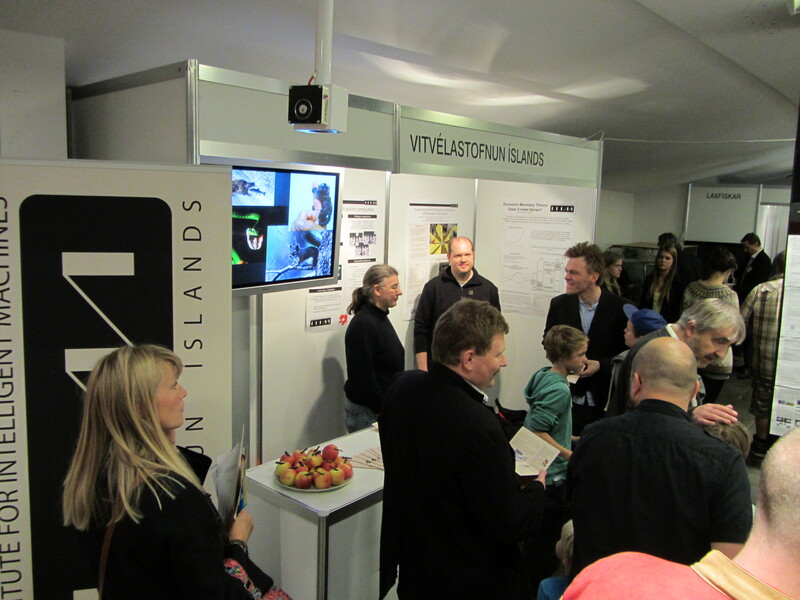 Around 4700 visitors attended this annual event involving a wide range of scientific and research organizations. 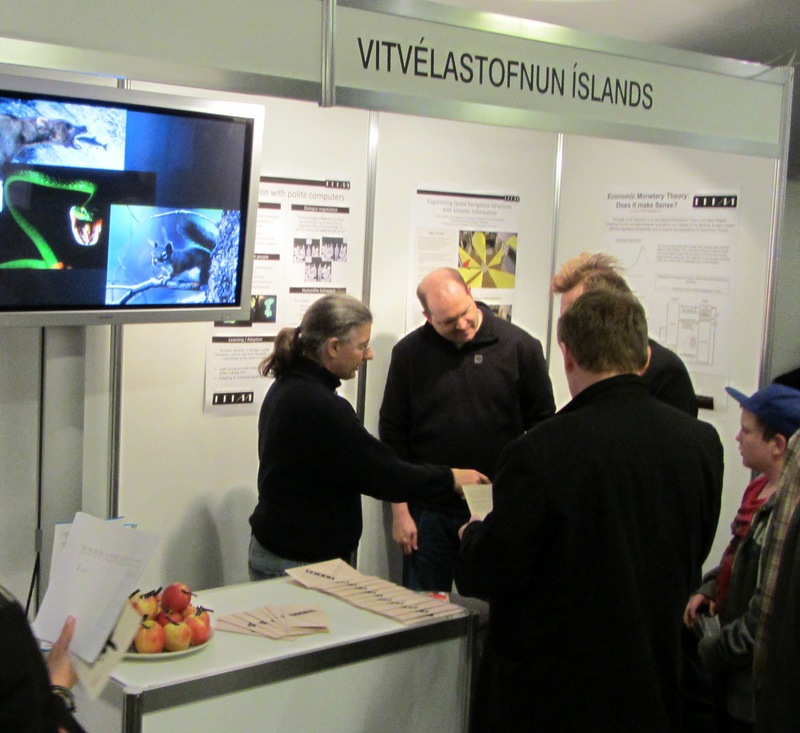 IIIM continued its tradition with presenting several projects during Vísindavaka. 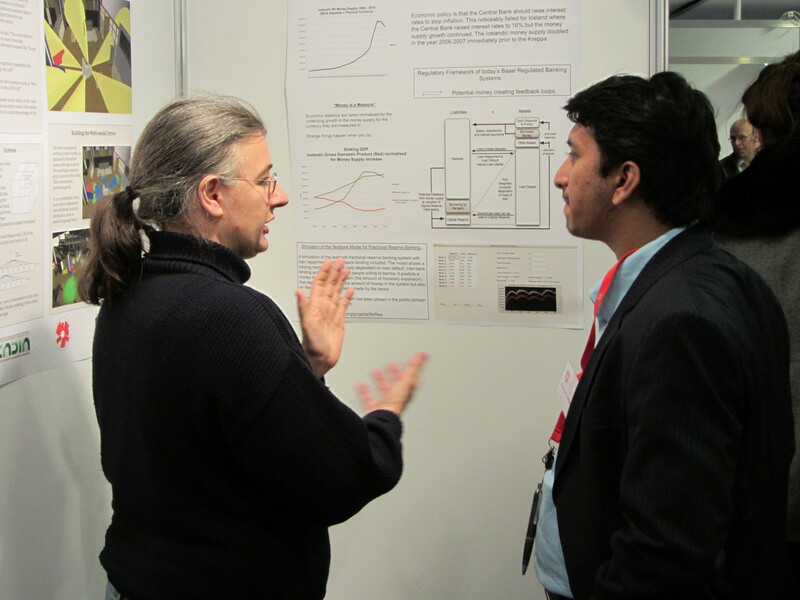 This was a chance to meet IIIM staff in person, ask questions and learn more about our projects. Research Scientist Jacky Mallett was presenting her recent work on Banking System modeling and simulation that raises questions about the accuracy of current monetary and economic theory. 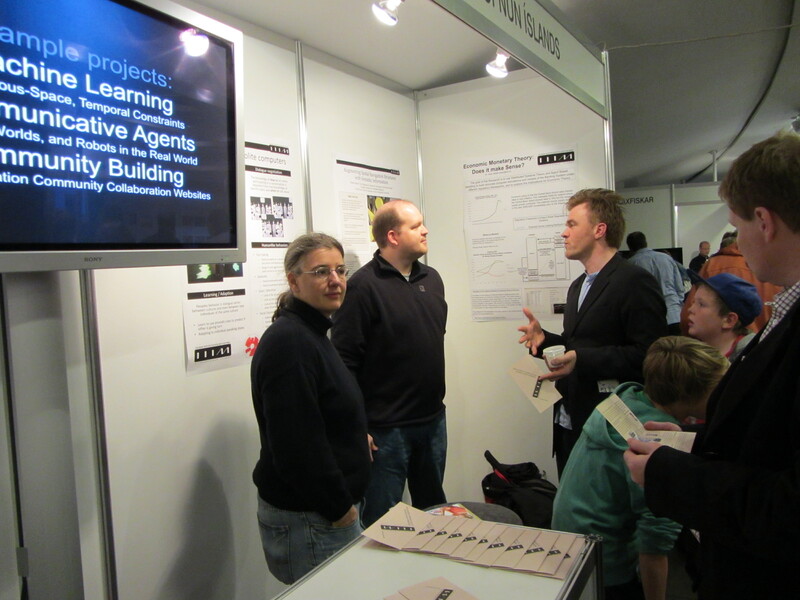 Senior Programmer Guðný R. Jónsdóttir’s project Conversation with Polite Computers was presented in the form of a poster and short sample video. The main goal of this project is to create autonomous computer characters that can interact with people in a humanlike manner. Thank you for coming and see you at next Vísindavaka!